Like many real estate agents, your resolution for 2019 may have been to sell more homes this year. This is a great resolution, especially since it's likely that this year will still be a seller's market. Overpricing is often the most common reason a home is stuck on the market. Before setting a price, it's important to do your research so you're giving your clients the best opportunity for their home to sell. Find out how other homes in the area are priced to see if you're in the right ballpark. You should also see what previous homes have sold for to determine whether your estimate is reasonable. If you're having trouble negotiating a reasonable price with your clients, there are a few ways to approach this situation. Before you suggest your listing price, ask your clients what they believe their home is worth. Ask them why and how they arrived at this figure. This can help them accurately predict the value of their home, while also allowing you to point out some reasons that your suggested price may not be as much as they thought. Be sure to show them you've also done your research. A great way to organize, adjust and present all this data is by using the Homes.com CMAzing tool. 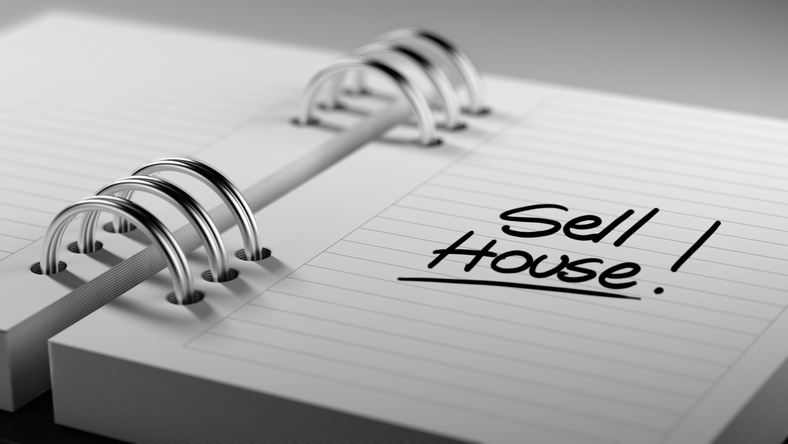 Another top reason that a home isn't selling is that it is being poorly presented. One reason for this is a lack of staging. Often, homeowners will try to save money by refusing to hire someone to stage their home. While this is their choice, you can influence their decision. Try using the analogy that, in the digital age, home-buying is like online dating. With so many different options, it's critical that they give the best online impression possible. Show them a before-and-after photos from another property you've staged and ask them which home they would rather see. Chances are, they'll start to understand the importance of presenting the best side of their home. Another possibility is that, while you've generated some interest in the property and even done a few showings, the home wasn't in the right condition for potential buyers. While staging is a huge part of this, if the home isn't tidy or is overly personalized, it can be very difficult to sell. This can be an uncomfortable conversation, but it's important that your clients know you have their best interest in mind. Remind them that buyers want to be able to picture themselves living in this home. It's hard to do that if there are still dishes in the sink or a kid's soccer pictures on the walls. Keep in mind that curb appeal also factors into this. If the lawn hasn't been mowed for weeks or the bushes are taking over the sidewalk, it's hard to attract buyers. Poor-quality photos are almost a guarantee for a stale listing. In today's visually-driven market, quality, professional photos are a necessity. Remind your clients that 87 percent of buyers said that viewing photos of a home was very useful in the sale. If the listing photos are outdated and cluttered (or worse, absent), homebuyers will avoid the property altogether because they think there's something wrong with it. If your clients do have quality, professional photos of their home, consider whether it's showcasing the house properly. Again, if the home isn't staged, revisit this conversation with the owners. Otherwise, consider the key features of the property. Is the pristine patio being showcased? Do the bedroom shots have enough natural light? Are the vaulted ceilings being captured? Try to focus on the unique features the home has to offer, and tell this story with the listing photos. A final reason your listing may be stagnant is because your client hasn't made the necessary home repairs. This can often turn into an uncomfortable conversation, but there is a way to engage with the seller to talk about repairs without being confrontational. For example, take a walk with your clients through the house, and if you see a stain from a leak or a faulty switch, say "Huh." They will likely ask, "Do you think I should fix that?" This is your opportunity to approach the topic of repairs by non-confrontationally stating "I would." Once you've gone through these four items with your clients, it's likely that their home will be in much better shape to sell. Another way to position your client's home for sale is to put it in front of the right buyers at the right time. With Homes.com's "3 Steps to Close More Deals in 2019," you can put your clients home in front of the right buyers, connect with them and convert them into a sale. To learn more, click here. Mark Mathis is VP of Sales at Homes.com. For more information, please visit marketing.homes.com.